The blooming buds of Nursery, Witty world, Bhilwara celebrated green colour day on Tuesday, October 29, 2016 with great zeal. 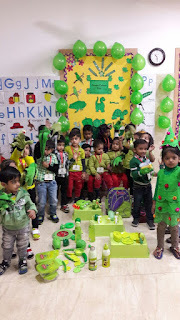 The teachers and children came in green coloured clothes with their favourite green colour object such as car, glass, fruits etc. 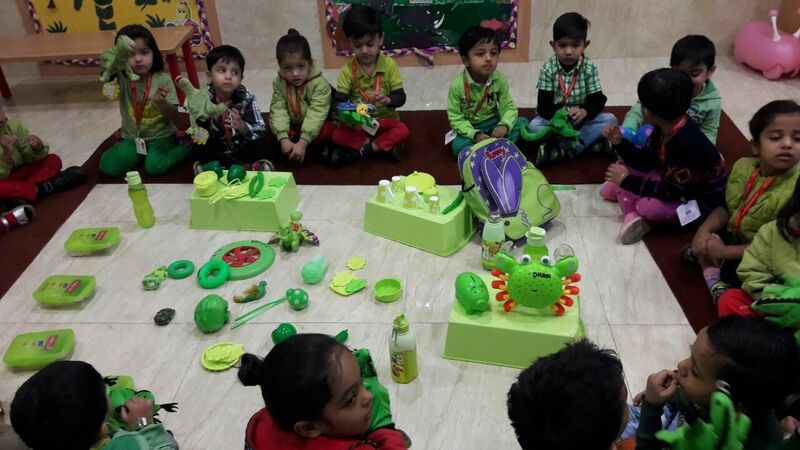 Children did the sponge dabbing and finger dabbing on the objects drawn on chart sheet. 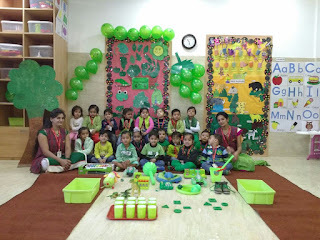 Children saw different objects of green colour. They expressed their views with their teacher and friends. This colour day celebration will leave a long lasting effect on their minds.